Rockford is among very few cities of its size to possess a local treasure as extraordinary as the Burpee Museum of Natural History. So it’s appropriate that the museum’s major fundraising event – simply called “The Local” – celebrates all things homegrown, including bands, beers and foods. Open your e-magazine now to learn more about The Local. Inspiration & Worship: Who Was Jacob? Your Health: Acupuncture: Can it Help Addicts Recover? 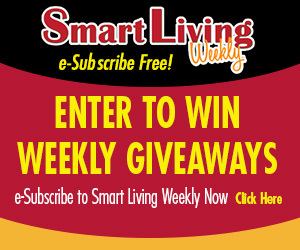 Congratulations to Jean Thompson of Rockford, this week’s Smart Living Weekly giveaway winner! Jean takes home 2 Tickets to Magic Waters, in Rockford. This entry was posted on Wednesday, July 19th, 2017 at 5:00 am	and is filed under News & Events, Smart Living Weekly. You can follow any responses to this entry through the RSS 2.0 feed. Both comments and pings are currently closed.